Islanders, one word: brilliant! I posted an article on GameFront last month that featured the release trailer and I was so happy when I was given the chance to review this game. It is minimalist, it is intuitive, it is annoying when you've realised you made a mistake on the placements, it is fun, it's everything you want in a game and it will get you hooked in trying to better your score time and time again. I'll start off with a brief overview and then move on to game dynamics, playability, re-playability, then onto graphics and of course the most important bit which is should you get the game? The game is a pickup and play game, you start off with an Island with varying terrain, you then pick a "pack" to begin with is usually a farming pack or a lumber pack for you to start building on your island, you get more chances to pick the same packs and in doing so you can add to your island with those particular sets of buildings. For example, farming packs will come with fields of wheat and a mill. The aim of the game is to place the buildings/objects in the best places for you to score the most points for your placement, you will have a target score in the bottom left of your screen which you need to hit, or ideally overclock in case you make a mistake elsewhere down the line your overclocking of the score this time may compensate for the future mistake. Once you hit the target number of points, another selection will appear for you in the bottom of the screen to choose another pack. The cycle goes on until you can't fill up the allocation of points to move to the next stage. Buildings will get your bonus points for placing them near one another, but duplicate buildings apart from houses will give you negative points on the buildings you place so be careful! On the bottom right of your screen you will notice an island color in every score total you complete, once you can't get anymore out of the current island you can click that to start on a fresh new island - this does save you if you are struggling. My advice is to keep going on the current island and only when you can't get anymore out of it start a new island, note that your score will carry on, it doesn't start a new game just moves on to your next island. I've found myself playing Islanders for a while, trying out the game for review purposes but also just because I wanted to play and get to know all the different packs on offer and if I can do things differently. The game offers such a variety of firstly what island you get and subsequent islands that you can unlock, some are tricky because they aren't just one island. 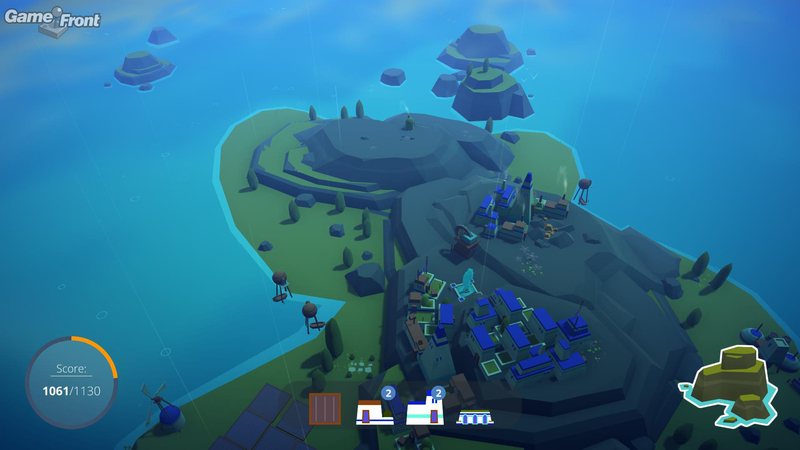 You can see in the latter part of my second try below that the majority of my "island" was actually water and I had to build specific tiles on it to then construct my buildings, eventually I ran out of tiles and land and couldn't score anymore points with the buildings I had left. It's an intriguing game that tests your mind, it's a highly competitive city builder and one that I know I can just hop onto and play the game until my hearts content, I know I'll get stuck, I know I'll have to make a decision here and there but that's part of how fun it is and how it gives you that sense of fulfilment every time you get past a high score. Guaranteed if you buy this game, you'll play it again and again. Let's not beat around the bush here, or run around the island rather, the game is beautiful, it's aesthetically pleasing and easy on the eye, it doesn't and quite rightly hasn't tried to make things too sharp, the textures are smooth and it allows for better building placement.It is not a CPU intensive game which means you can install it on your laptop or any computer around the house to pick and play, if I was still at university I know I'd procrastinate just playing this game because it's one of those calm and soothing games that get you worked up every now and again because you've run out of room near your mill and you can't get the bonus point you need from the wheat field to get you to the next level. 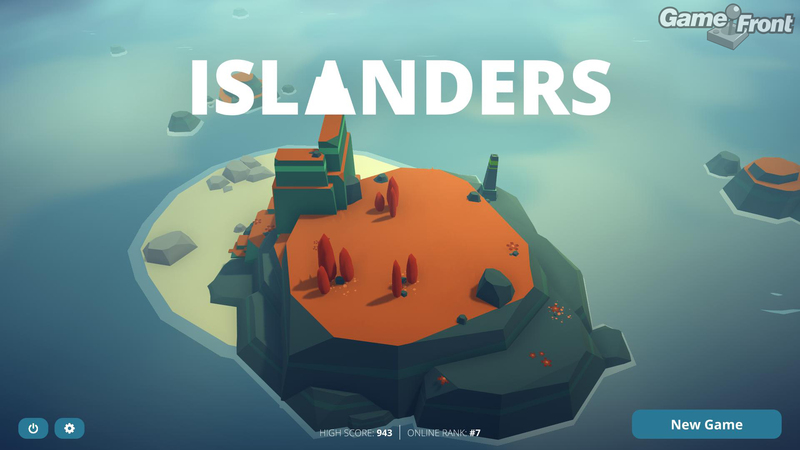 Islanders is an intuitive game that you could play for hours on end and end up logging back in the next day as you've found out how to beat your score. If you like these type of games I would most certainly recommend Islanders to purchase from Steam, if these games aren't your thing I would still recommend it to try, give the brief playthroughs a watch above and you'll see how challenging it can be and I guarantee you'll have countless hours of fun.